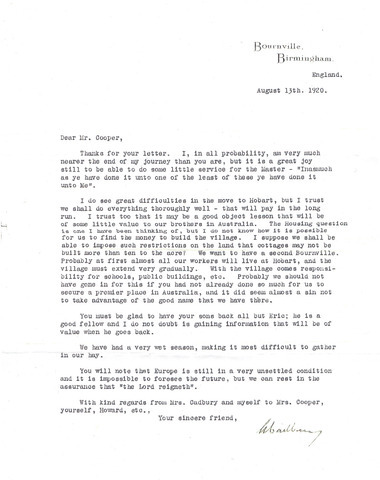 Cadbury, G 1920 , Letter from George Cadbury in England to William Cooper in Australia, 1920 , University of Tasmania Library Special and Rare Materials Collection, Australia. 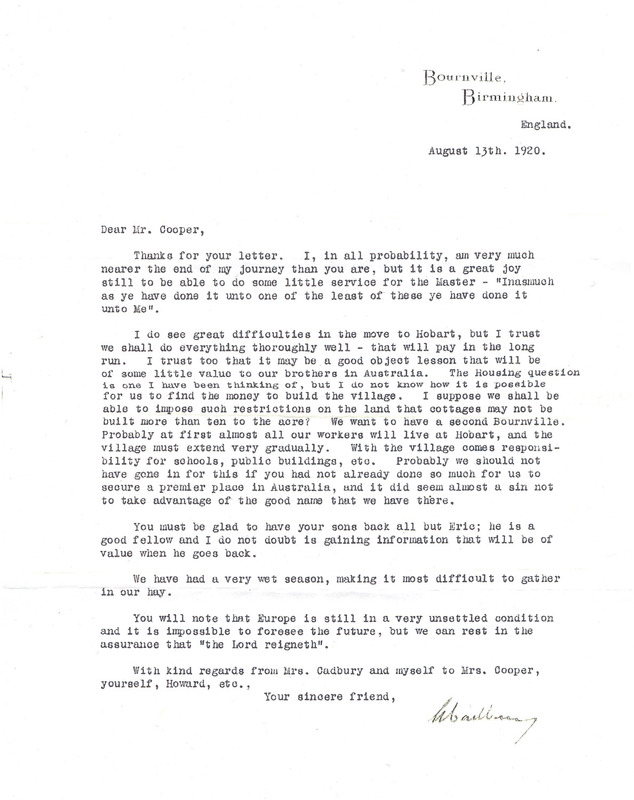 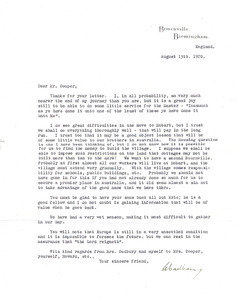 Letter from George Cadbury (1839-1922), prominent English Quaker and founder of the original 'factory in the garden' at Bournville, near Birmingham in 1879, to William Cooper, regarding the establishment of a garden suburb along the same lines in Claremont, Tasmania. 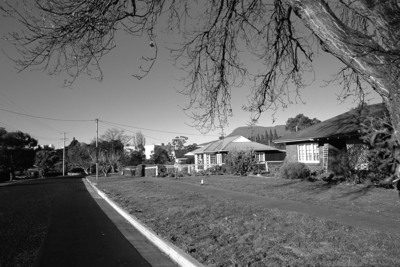 The photograph is of the Cadbury's factory with its 'garden city' housing in the foreground. 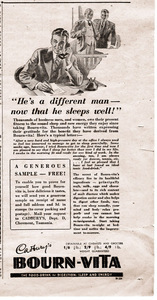 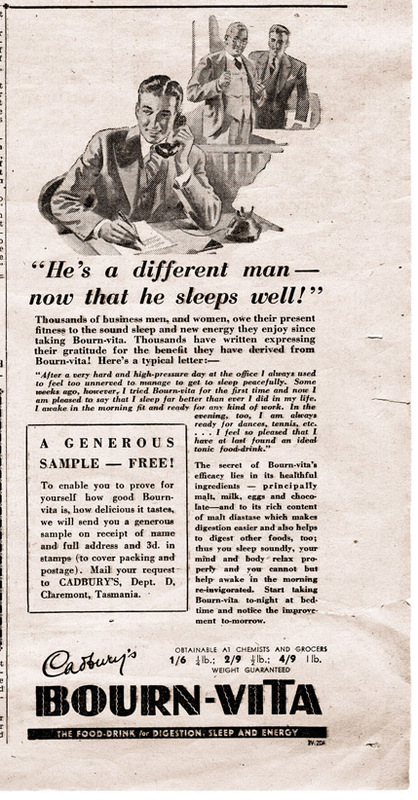 The Cadbury's advertisement is from the Australian Women's Weekly, Tasmanian edition, 25 July 1936. William Cooper, also a Quaker, was a frequent visitor to Tasmania although he never lived there. 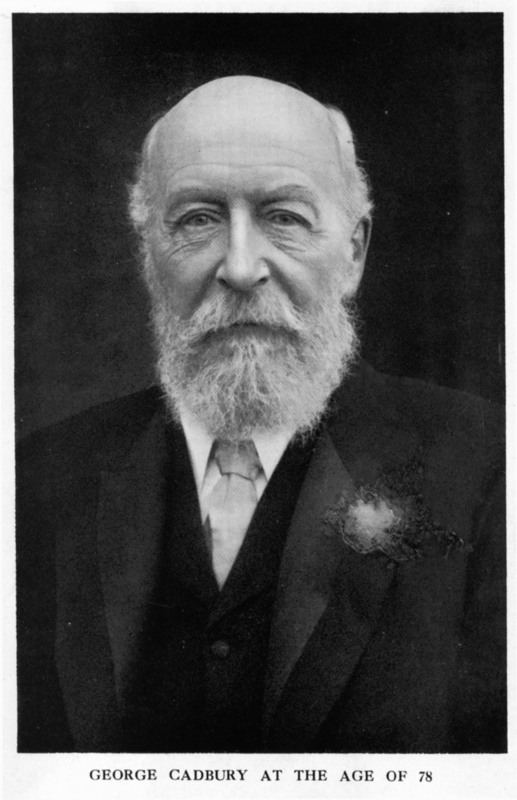 He was Chairman of the Board of Governors of The Friend's School from 1924-1949 and two of his sons, William Livingstone Cooper and Joseph Howard Cooper moved to Hobart to work for Cadburys at Claremont.